We make your feet wanna dance, every saturday on RSDH! 20:00 CET : Back to the 80s with Tony Renzo! Dance your socks off with Tony’s Out of Control radio show, only on RSDH ! This evening; The hottest 80s and 90s dance and a.o. great tunes from Dale, Golden girls, Nile Rodgers feat.Chic & Daniel Sahuleka. We will play an Oliver Cheatman Megamix by Fabrice Potec , but also remixes from Michael Jackson and Indeep and this weeks short mix by Martin Boer and… tracks from the new album of Change. What a great way to start this saturday evening on RSDH ! And at midnight. also for the last time, Pompenburg mix show, to get you through the night. All the best of house with the famous DJ Mark van Dale ! And do join us tomorrow for more live shows starting at 5pm CET! Gwen 22-09-2018 . Categories: DJ Mix, Nieuws, Pompenburg Mark van Dale, Saturday, Timemachine, Tony Renzo Out of Control. Tags: 80s Classics, 90s, Club classics, coen bom, Disco, Funk&Soul, High Energy, Italo Disco, Italo Internet Radio, Italo mix, Marc Pols, Mellow House, Out of Control Radio Show, Peter van Leeuwen, Pompenburg Mark van Dale, Radio Stad Den Haag, Stappen in Den Haag 80s, Timemachine Peter van Leeuwen, Tony Renzo, Trance. 20:00 CET : Brand new show with Tony Renzo! Gwen 15-09-2018 . Categories: DJ Mix, Nieuws, Pompenburg Mark van Dale, Saturday, Timemachine, Tony Renzo Out of Control. 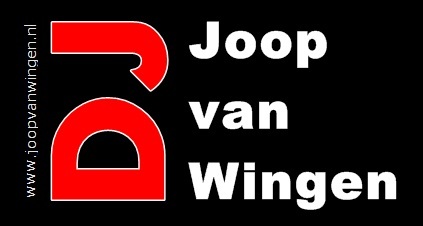 Tags: 80s Classics, 90s, Club classics, coen bom, Disco, Funk&Soul, High Energy, Italo Disco, Italo Internet Radio, Italo mix, Marc Pols, Mellow House, Out of Control Radio Show, Peter van Leeuwen, Pompenburg Mark van Dale, Radio Stad Den Haag, Stappen in Den Haag 80s, Timemachine Peter van Leeuwen, Tony Renzo, Trance. 20:00 CET : Back on track…. Tony Renzo! We re-run last weeks Out of Control Radio show! in case you have missed it or want to enjoy it again! What a way to start this evening. This evenning; The hottest 80s and 90s dance and a.o. these great tunes from Val Young, Natasha King, The Whispers ,Tom Brown, Thompson Twins and more! The italo summerclassic & this weeks Re-edits by Leon Hartog. Martin Boer in the mix, a Megamix made by Fabrice Potec and more oldskool 2 keep you dancing. So dont miss this weeks new show!! Gwen 08-09-2018 . Categories: DJ Mix, Nieuws, Pompenburg Mark van Dale, Saturday, Timemachine, Tony Renzo Out of Control. Tags: 80s Classics, 90s, Club classics, coen bom, Disco, Funk&Soul, High Energy, Italo Disco, Italo Internet Radio, Italo mix, Marc Pols, Mellow House, Out of Control Radio Show, Peter van Leeuwen, Pompenburg Mark van Dale, Radio Stad Den Haag, Timemachine Peter van Leeuwen, Tony Renzo, Trance. *DJ Tony Renzo – Radio exclusive of Back to Basics 109 Italo! A brand new, fresh, cool Out of Control Radio show! What a way to start this evening. Gwen 01-09-2018 . Categories: DJ Mix, Nieuws, Pompenburg Mark van Dale, Saturday, Timemachine, Tony Renzo Out of Control. Tags: 80s Classics, 90s, Club classics, coen bom, Disco, Funk&Soul, High Energy, Italo Disco, Italo Internet Radio, Italo mix, Marc Pols, Mellow House, Out of Control Radio Show, Peter van Leeuwen, Pompenburg Mark van Dale, Radio Stad Den Haag, Timemachine Peter van Leeuwen, Tony Renzo, Trance. This saturday we re-run last weeks Out Of Control Radio worth listening again! Remixes by Dimitri from Paris and Fabrice Potec. The italo Summerclassic, Martin Boer in tha mix, Dimples-D, The Disconet remix, a Hypnotic Tango re-make and lots more music 2 keep you dancing. Gwen 25-08-2018 . Categories: DJ Mix, Nieuws, Pompenburg Mark van Dale, Saturday, Timemachine, Tony Renzo Out of Control. Tags: 80s Classics, 90s, Club classics, coen bom, Disco, Funk&Soul, High Energy, Italo Disco, Italo Internet Radio, Italo mix, Marc Pols, Mellow House, Out of Control Radio Show, Peter van Leeuwen, Pompenburg Mark van Dale, Radio Stad Den Haag, Timemachine Peter van Leeuwen, Tony Renzo, Trance.